The Auxiliary of the Waynesboro First Aid Crew began in February of 1955. Then they joined the state association in 1959. There were six charter members and we only have five of the names. They are Mrs. H.A. Senger, Mrs. E.C. Reardon, Mrs. D. Lucas, M.W. Worley and Mrs. N.C. Hodge. In the beginning the Auxiliary met in the member’s homes. Later they started having regular meetings at the Council Room located at the Early Dawn Dairy on Main Street where the Boys and Girls Club basketball court stands today. Next they moved to Waynesboro Fire Department until the new crew building was built in 1965. The Auxiliary’s major fundraising was the arm of the crew. Starting in the early years, fundraisers consisted of bake sales, rummage sales, crazy hat parties and helping W.F.A.C. with the food booths during the annual carnival. We also provided food for the volunteers while they sold Christmas trees on the parking lot. 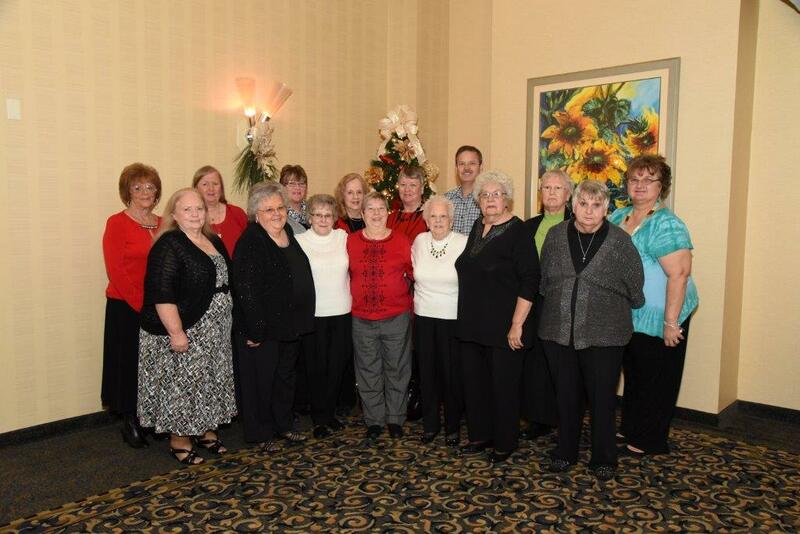 The Waynesboro Ladies Auxiliary has come a long way. Now weekly bingo is held on Saturday nights and we hold an annual picture project. Through these efforts we are able to support the crew with monetary donations and much needed equipment. In 1995 the Auxiliary took on an enormous project by adding a new addition to the existing WFAC building. This project was dedicated in honor of Mom and Pop Senger, charter members. In June 2006, we decided to bring to a close our weekly bingo operations due to lack of attendance. This was a very difficult decision to make for our organization to make, especially after conducting Bingo for over thirty-five years. A lot of time and dedication was put forth to make the weekly Bingo a success; therefore it was a very challenging decision for us to make. In addition to fundraising, the Auxiliary also activates to provide rehab services. Rehab services include providing food and beverage to personnel of the First Aid Crew, Waynesboro Fire Department, and other areas of emergency services for the City of Waynesboro during long hours of rescue efforts. We also cater banquets, plan holiday parties for the crew children, and celebrate auxiliary member’s birthdays every month. The Ladies Auxiliary meets the third Tuesday of every month at the WFAC building. As of today, we have 16 active lifetime members, 4 active members, 1 associate member and 6 honorary members including men. Mom Senger is the last living charter member. On November 26, 2009 she will be 93 years of age.